Clients trust 24 Hour Translation to help them achieve their multilingual business and personal needs. Because of our dedicated professional translators who have a deep understanding of their markets and their objectives, and our commitment to achieving positive results, businesses and individuals trust our Detroit translation services for a broad range of purposes. Established in 1990, 24 Hour Translation is one of the oldest U.S. based companies serving the Detroit translation services market. With more than 150 translators serving 10 core industries, we can quickly and accurately translate documents into English, Spanish, Portuguese, French, German, Chinese, Russian, Arabic, Italian and more than 20 other languages. 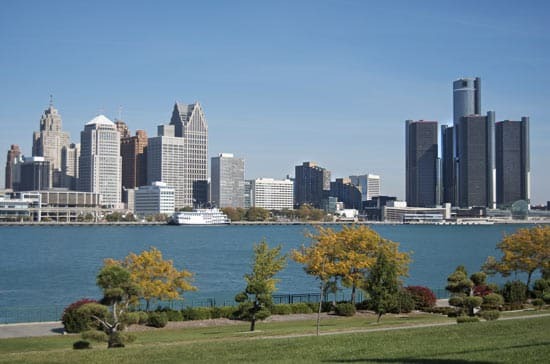 All of our Detroit translators hold advanced degrees in their areas of expertise, have a minimum of 10 years translation experience, and work exclusively for us to ensure the confidentiality of your sensitive documents. With these strengths, we can quickly assemble a qualified team to translate and document, website, legal contract or website. While we may begin by translating a small document, our clients regularly come back to assist them with much larger multilingual projects. 24 Hour Translation carefully manages professional and personal translation projects for a wide variety of industries and Detroit’s expanding multicultural populations. Whether providing complex translations of legal documents, employee training manuals translation, websites, technical guides, scientific manuals, or immigration documents, clients view us as their go-to partner time and time again. Our exceptional depth and geographic reach of our resources enable us to complete virtually every type of translation and localization related issue.